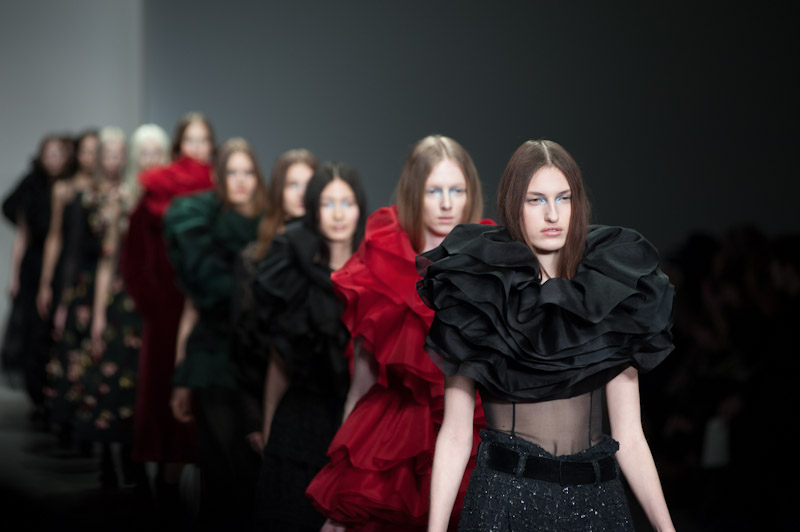 The pouring wind and rain did not stop fashionistas queuing in their hundreds for the Saturday afternoon catwalk show for John Rocha’s autumn/winter 2014 collection. As the crowds packed into the British Fashion Council show space in Somerset House, the FROW began to fill with the likes of Proudlock from Made In Chelsea and singer Laura Mvula, who was dressed in a stunning red coat. 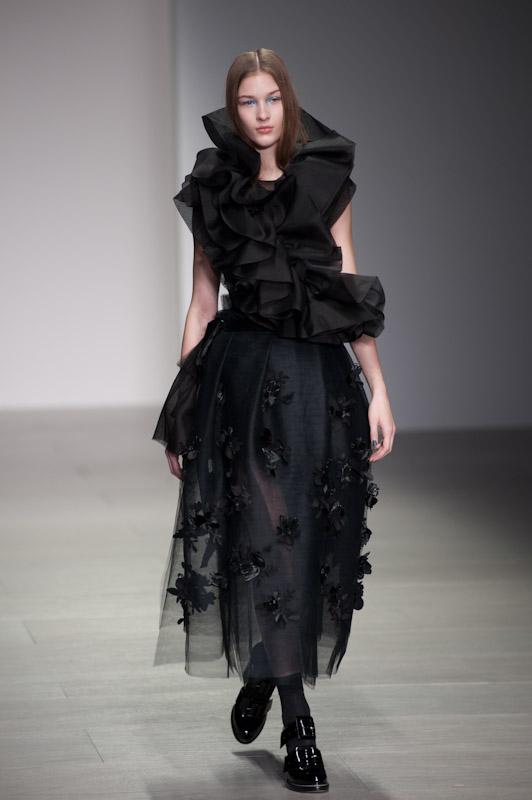 Inspiration for the collection was taken from the dark Icelandic skies as well as revisiting ideas from the work of Pierre Soulages. 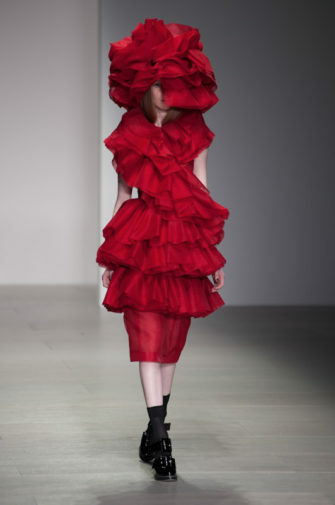 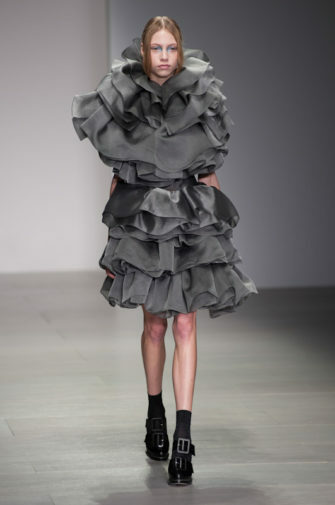 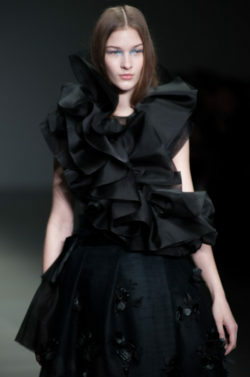 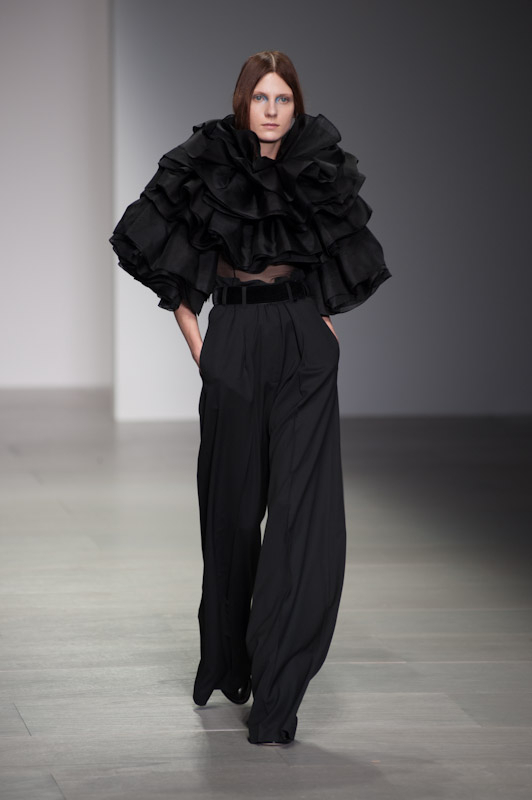 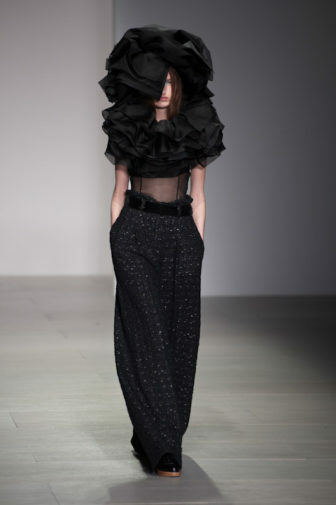 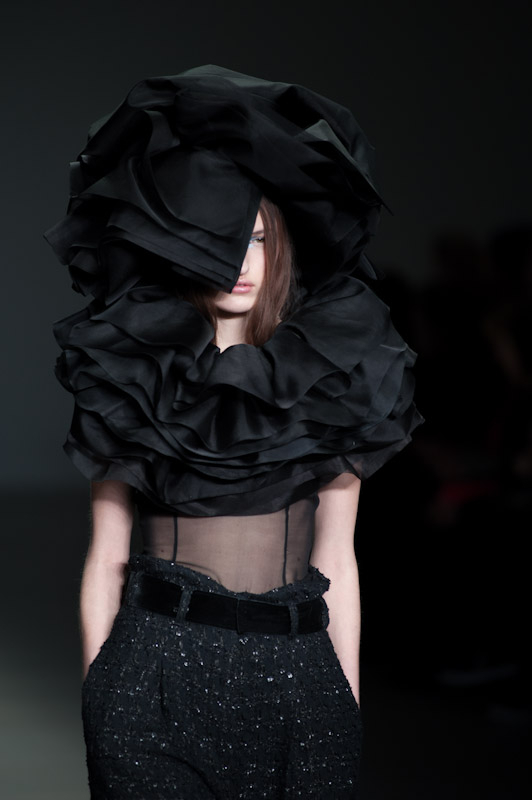 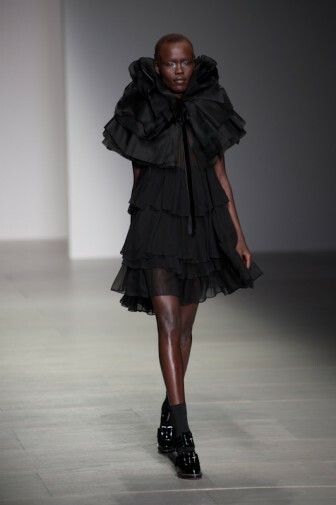 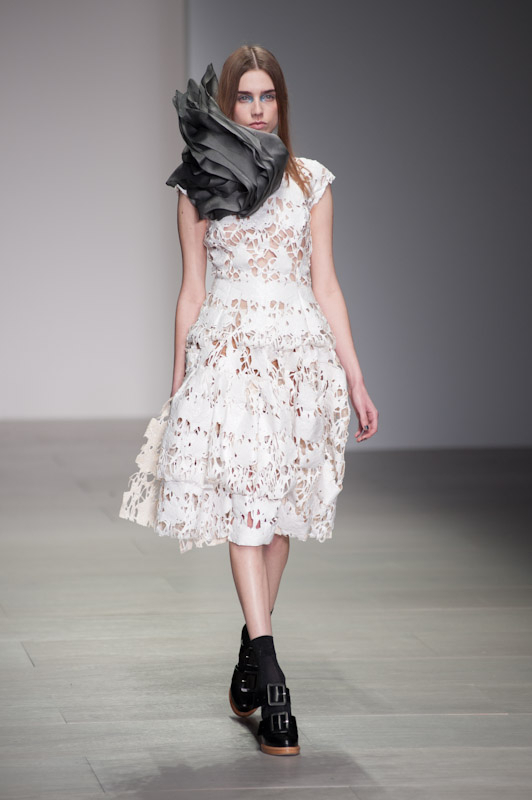 First look from the Rocha collection saw huge ruffled neck and head pieces made from silk organza material, which overpowered the models’ facial features. 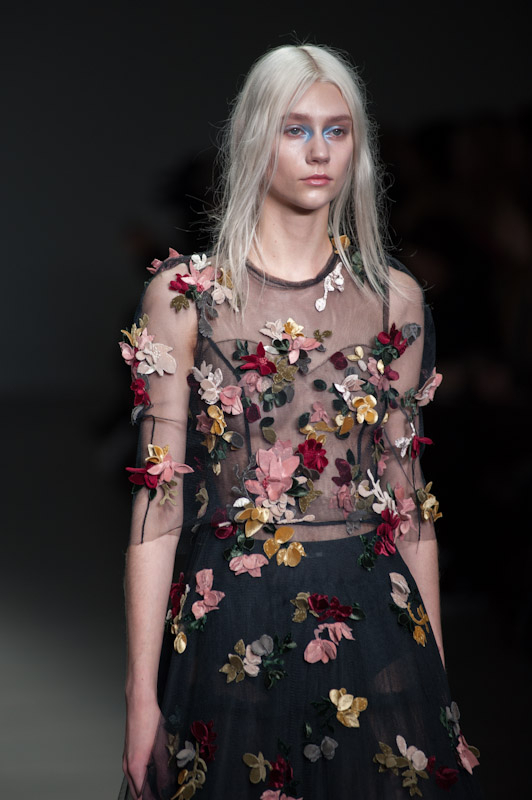 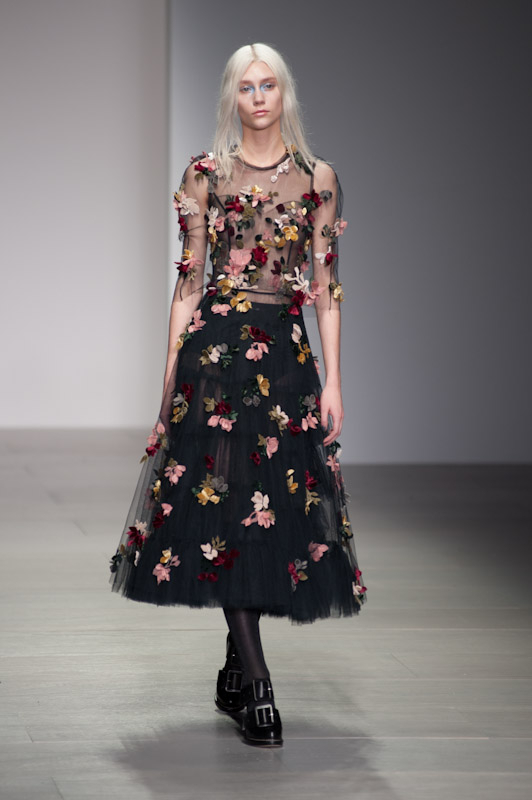 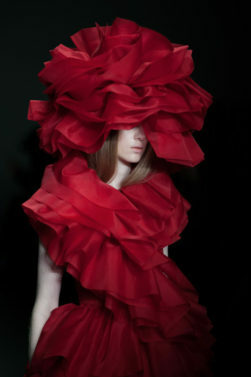 The pieces seem to represent the idea of flowers and added a truly exceptional feel to the collection. 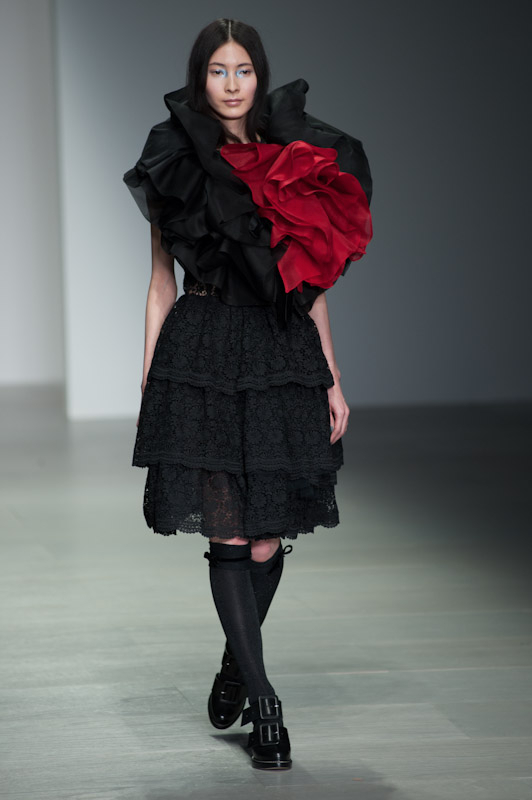 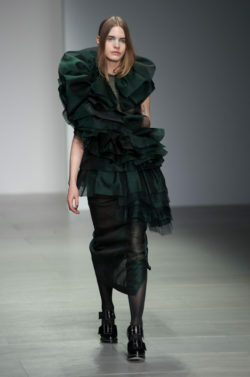 A palette of grey, black, red and green coloured the pieces which had been carefully crafted from leather, silk and lace. Reworking the materials added in harder pieces to the collection, which gave a darker, underlying feel to some of his work. 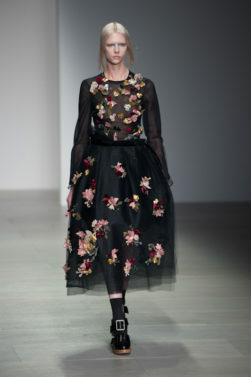 However, renown for ensuring his work has a balance, other pieces saw falling flowers that had been attached to delicate tulle material and cut-out leaves draped from dresses to display a more sculpted silhouette. 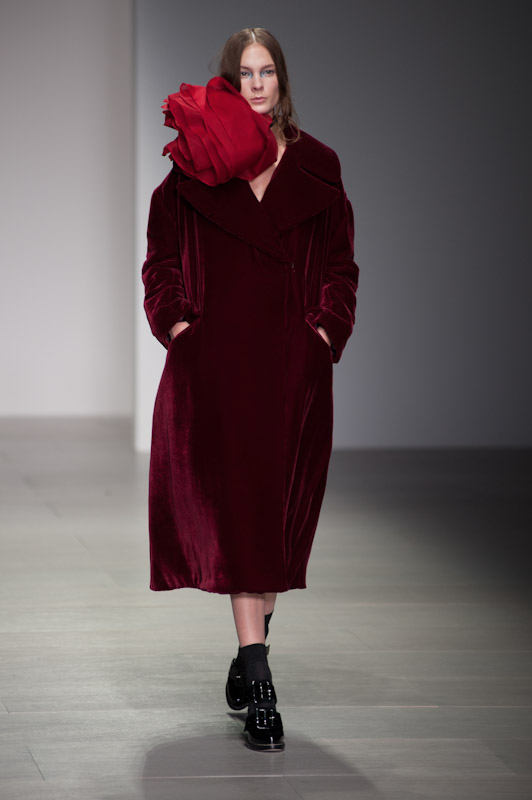 Pieces were completed with huge oversized coats, including a spectacular red velvet that is already on our want list for autumn/winter 2014.